Since August is upon us everyone is scurrying to drink up the last moments of the sun! I am here of course to help guide you to keep that beautiful tan glowing long into October! It will actually help you with not getting overly burned. A week before your big vacation or sun day- start getting 15 mins of sun to prep your skin for the huge amounts of sun coming your way. Which leads me to my second point….. I know. I know. You only have 1 day to do as black as sut but I promise you if you don’t use SPF you will burn and peel away that gorgeous color. Apply your sunblock. Not only will it help with aging in the future (yes you have to think about that friends), it keep your skin looking that bronze color for much much longer! When I am not in the sun I am lathering up on lotion. Your skin is dehydrated. Over time your body will shed its tan layer BUT the process will be slowed down with the help of lotion. I can truly see a difference when I exfoliate BEFORE I head out in the sun. And exfoliating 3 days after will help your tan fade evenly by brushing away the dead cells. *Exfoliating once every 7 to 10 days will not only help you tan more quickly, but also help you keep your tan longer. Also If you are a big spray tan person I suggest using exfoliation to even out your color. Get rid of those blotchy knees and elbows! Favorite Items I suggest for Gorgeous Skin! This daily moisturizer with SPF 15 and exclusive Soy Complex and natural light diffusers works to naturally even skin tone and texture and help improve the look of brown spots, while immediately brightening to bring out your skin’s natural radiance. 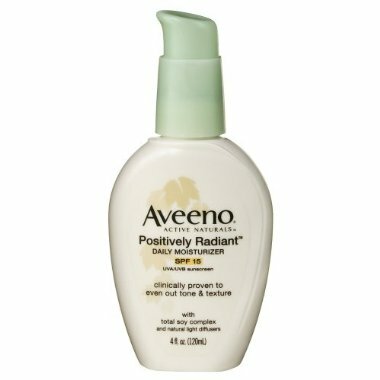 Positively Radiant is a collection of facial care products uniquely formulated to target all 5 FACTORS OF RADIANCE- Tone, Texture, Brown Spots, Dullness & Blotchiness! I seriously can’t get enough of this deeply hydrating body lotion. With replenishing shea butter and sweet almond oil, it’s all-day moisture for silky, supple, totally sated skin. Your skin will feel magical and the smell is pretty incredible too! It has been my go-to this Summer! Thanks VS! My dear friends at Birchbox sent me this product that just came out and guys I am OBSESSED!!!!!!!! This luxurious softening scrub is infused with brown sugar and four exotic plant oils (grape, argan, hibiscus, sesame.) 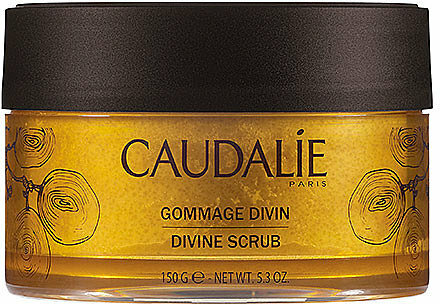 The scrub gently exfoliates skin cells for indulgently soft, delicately fragranced skin. You’ll IMMEDIATELY notice how refreshed and rejuvenated your skin feels, not to mention how lovely the rose- and cedar-infused scent smell will rock your world! Crush Worthy Lotions and Potions for Your Face! Tags: body, self tanning, self tanning secrets, skin, skin care, skin care secrets, spf, sun, tanning, tanning secrets. Bookmark the permalink. So many great tips. I am always trying to be as tan as possible without looking like leather! Ugh, I love this blog.